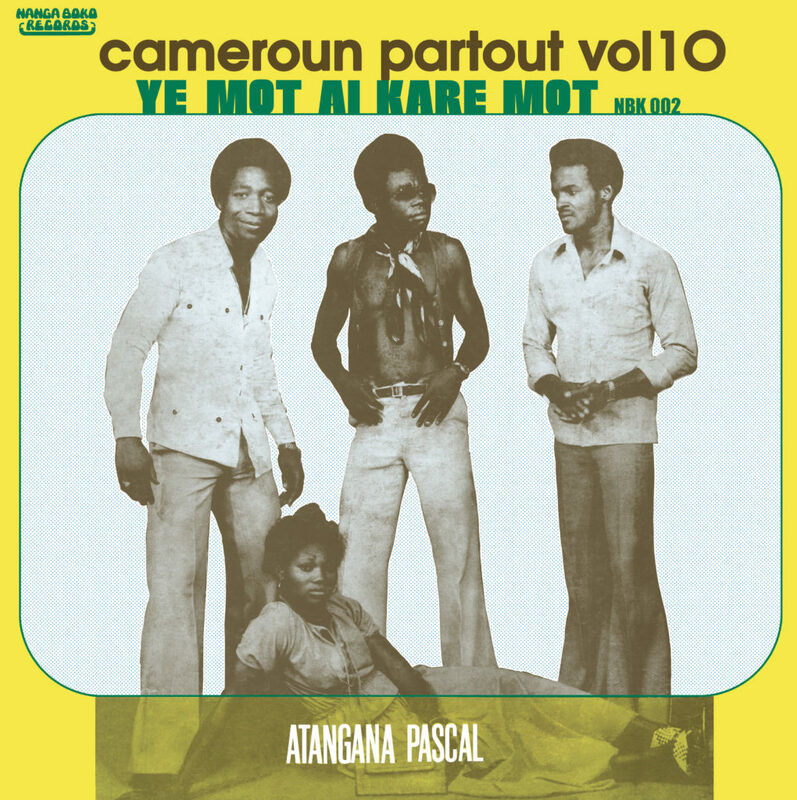 For its 2nd release, Nanga boko Records is very proud to present you « Ye Mot Ai Kare Mot », the official 40 years anniversary reissue of the first album of the Cameroonian musician Atangana Pascal « Quelqu’un ». 7 raw Bikutsi & Soukous tracks (+ one exclusive bonus track ! 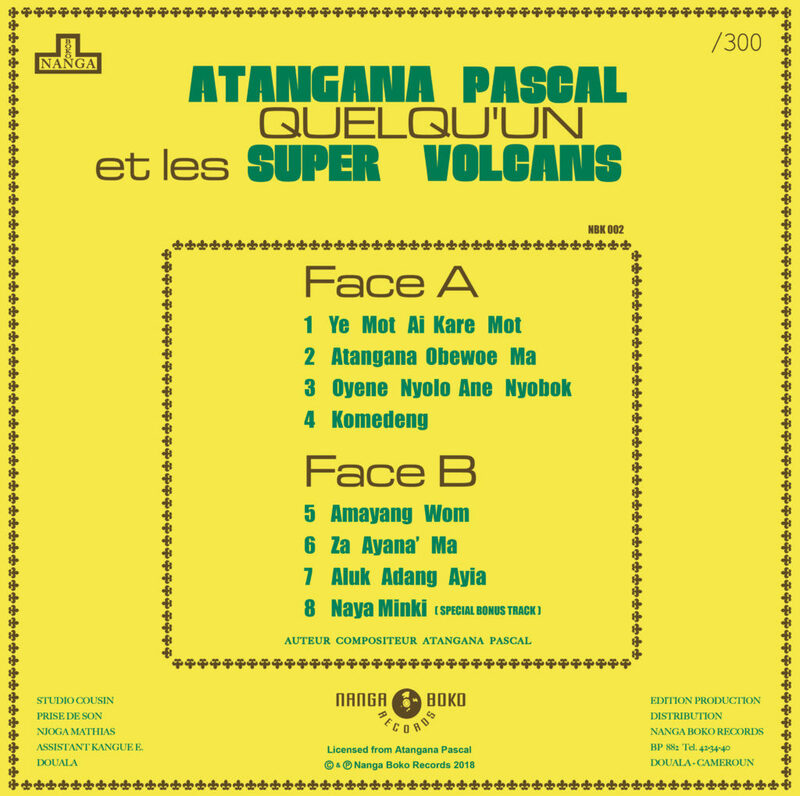 ), recorded after midnight in a single recording session in a nightclub of Yaoundé. DELUXE HAND NUMBERED EDITION, LIMITED TO 300, INCLUDES A BONUS TRACK NEVER RELEASED ON VINYL BEFORE !!! Each record comes with an insert that includes exclusive pictures and very detailled biographies in both English and French langages, an HQ Digital Download Card and a A2 format (40 x 60cm) poster ! Transfert, Restoration & Mastering : Baptiste Pataut at “Vrai Son”. Sleeve Restoration & Inner Sleeve Design : Eazy-Ni. Liner Notes & translation : Armand de Preseau & Guillaume Le Clerc.